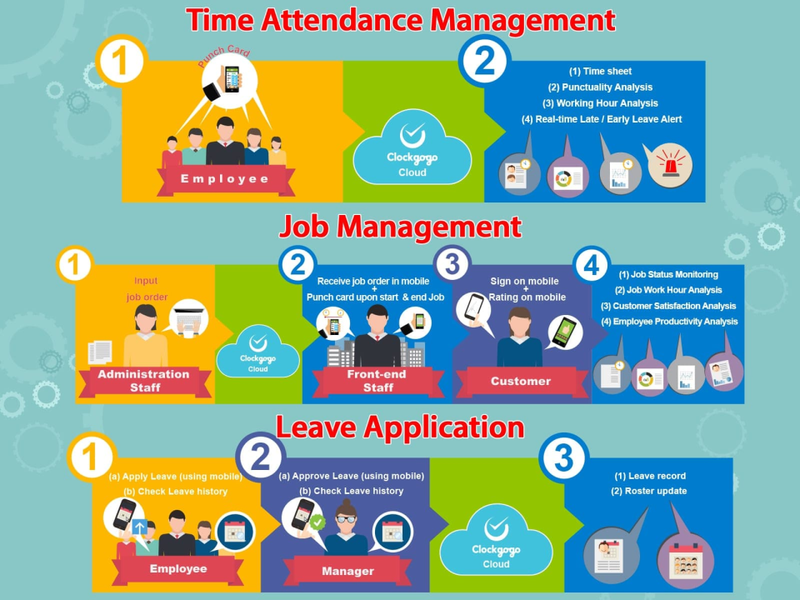 Clockgogo serve attendance management and job management with cloud-based real-time reporting. Revolutionary time card solution. Mobile face recognition with patented CWS to record the location of your staff. Time card record for both daily roster and ad hoc job. Employer can check real-time attendance through mobile app. On-line attendance report, job completion, customer job satisfaction analysis etc. on the cloud.